MARCIA DICKSTEIN, renowned harpist, is enticing new audiences to harp in chamber music and harp solo with orchestra, and inspiring composers to write new works in classical and jazz genres. 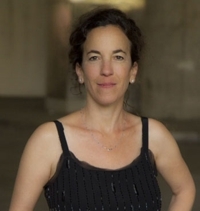 As Founder/Artistic Director of The Debussy Trio, she has performed worldwide, in the United States, Canada, Europe, Scandinavia, and Japan, over NPR radio, on commercial & PBS television. Adjunct Professor of Harp at Cal Poly San Luis Obispo, and Westmont College, Santa Barbara, CA, Marcia holds master classes throughout the United States and maintains a private studio in Los Angeles. Her transcriptions and scholarly editions of solo and chamber music for professional and student harpists are published by Fatrock Ink . Marcia has been featured as solo and chamber music harpist at festivals, in film and television, and as a recording artist. Her most recent recordings are “Look Ahead” (Klavier label), which features 10 new works especially written for The Debussy Trio (Klavier label) and “Chill Dog” (Pupsnap Music). We have other Marcia Dickstein music in stock and about to be added to this site.